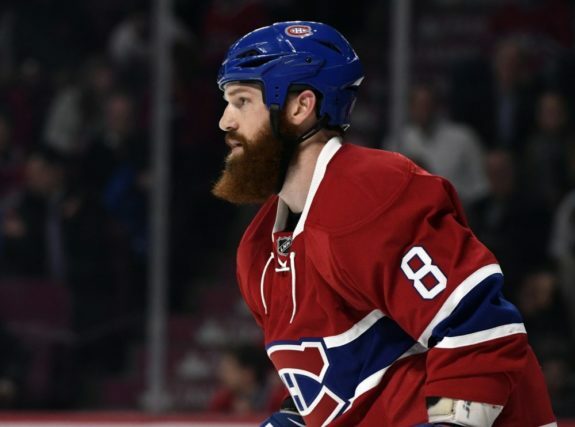 Before a game against the Ottawa Senators on Dec. 4, the Montreal Canadiens, a.k.a. Les Habitants, skated out for the warm-up with nicknames on their nameplates. The jerseys were going to be auctioned off to support the Montreal Canadiens Children’s Foundation, but surely a few more dollars could have been earned with more clever monikers. At least Tomas Tatar was “Tuna,” as in tuna tartare, a handle Tomas Holmstrom gave him when they were teammates on the Detroit Red Wings. 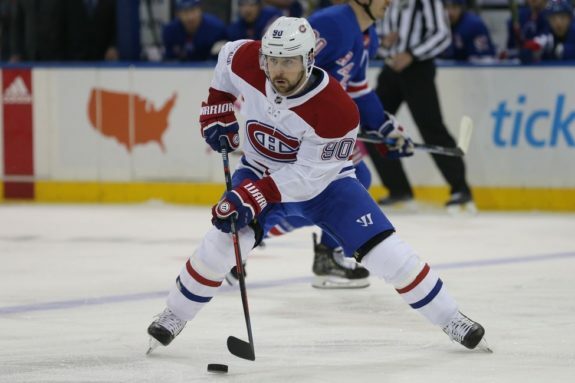 Maybe next time he can be “Steak.” But none lived up to the grand history of NHL nicknames, and to answer this dearth of creativity we’ll look back at some of the more memorable nicknames in Canadiens’ history and offer a few humble suggestions for modern equivalents. Georges Vezina was a native of Chicoutimi, Quebec and cool as a cucumber when manning the net for the Canadiens. He won 103 of his 190 games between 1917 and 1925, when he collapsed during a game. 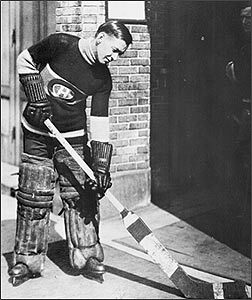 He died of tuberculosis a few months later and the owners of the Canadiens presented the league with a trophy in his memory in 1926-27. It remains the annual award for the NHL’s best goaltender. 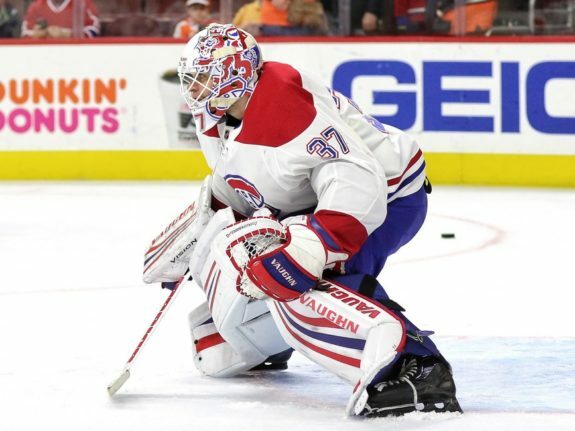 Current goaltender Carey Price is equally cool and his nickname should match. 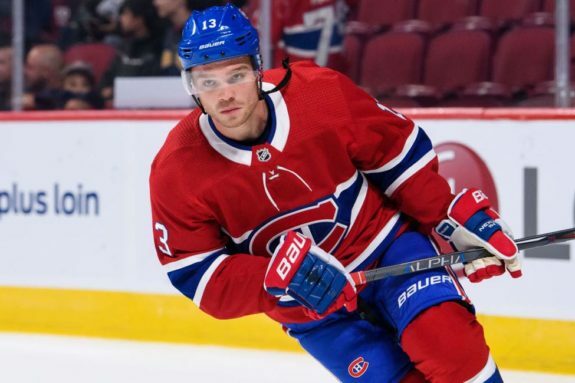 “Pricer” has been called “Jesus Price,” and though that’s accurate as the frequent saviour of the Canadiens, it might be a step too far for Catholic and secular fans alike. “The Anahim Angel” is a better option for the pride of Anahim Lake, British Columbia and winner of the 2015 Vezina Trophy, the 29th time a Canadien has won the award, the most of any team. Andre “Red Light” Racicot was “Saint Patrick” Roy’s backup, and the contrast earned him the derisive handle for the red light behind him tanning his neck. A Canadien from 1989 to 1994, Racicot did earn himself a Stanley Cup ring in 1993. After being left in for seven goals in a 7-1 loss to the Minnesota Wild on Dec. 11, Price’s backup Antti Niemi could be “Antti-Trump,” because he’s not building any walls. For the less politically inclined, “Antti the Red Light Reindeer” suits the native of Finland, home of Santa’s crew. Niemi, who’s been called “Nemo” and “Andy” over the course of his career, was the starter on the Chicago Blackhawks’ 2010 Stanley Cup team and has earned enough wins and respect over his 13 NHL seasons that neither new one should stick. Teammate Ray Getliffe dubbed Maurice Richard “The Rocket” for his speed and fire on the ice. The first player to score 50 goals in 50 games, in 1944-45, and the Maurice Richard Trophy is now given to the NHL’s top goal scorer each season. He was also suspended for the entire 1955 playoffs after punching a linesman, sparking “The Richard Riot” in Montreal. Maurice won eight Stanley Cups during his career, which was surpassed by his younger brother, Henri, who won 11. Three inches shorter, 15 years younger, and a little less fiery, Henri was the pocket version of his big brother. Max Domi inherited his father Tie’s oversized cranium so Gallagher calls him “Megamind,” which is an improvement on his Dec. 4 “Shootsy” jersey. Tie Domi’s nickname was “Tugger,” so his more skilful son, who is first on the Canadiens in goals and points, is “The Talented Tugger.” Dad, the Toronto Maple Leafs’ all-time leader in penalty minutes, was also called “The Albanian Assassin;” so Max could be known as “The Albanian Apple-picker,” a kinder, gentler nod to his 17 assists, which match Jeff “Petey” Petry for most on the team. At 6-foot-4 and 225 pounds, Larry Robinson was one of the biggest defensemen of his time, and one of the best in history. Called “Big Bird” for his height and his shaggy hair, he had 208 goals and 750 assists for 958 regular season points and a career plus-750, the NHL record. He never missed the playoffs in his 20 NHL seasons, 17 of which were with the Canadiens, earning 144 postseason points. A literal translation of Guy Lafleur’s surname, “The Flower” is the Canadiens’ all-time leader in assists (728) and points (1,246), and their last great scorer. 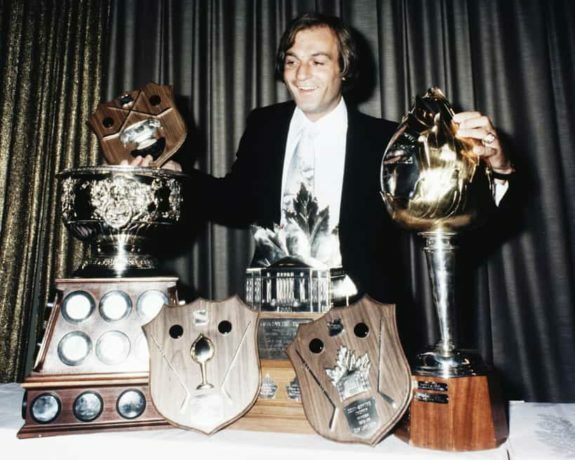 He won the Hart Trophy twice, Art Ross Trophy and Lester B. Pearson Award (now the Ted Lindsey Award) three times each, and five Stanley Cups. The Canadiens’ presumptive future scoring leader is 18-year-old Jesperi Kotkaniemi, the third overall pick in 2018. Instead of “KK,” as his charitable jersey read, “J’espere,” French for “I hope,” seems apropos.